Safety is a major priority for most people these days. Thankfully, due to some amazing technological innovations, and the evolution of said technology, safety is becoming easier, and for lack of a better word, secure. So, if you were wondering what a state-of-the-art lock looks like, then meet Gate! 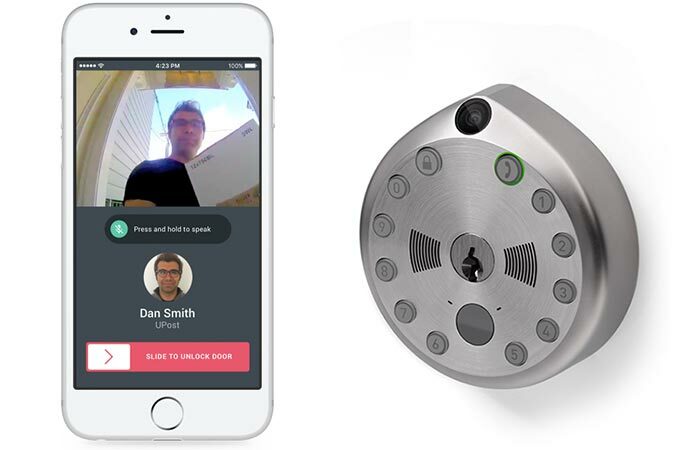 Gate is easy to install, features a keypad, and, most importantly, a camera. So, prepare to have your mind blown by what just could be the most advanced lock for the layman on the market. Gate gives you a lot of versatility. From using it remotely via mobile, to simply using the unique access codes via the keypad. Apart from all of the above mentioned features, Gate wouldn’t be complete if it wasn’t connected to the internet. In other words, you can completely control it directly from your mobile phone. It notifies you if it detects motion and gives you a live video stream in 720p. 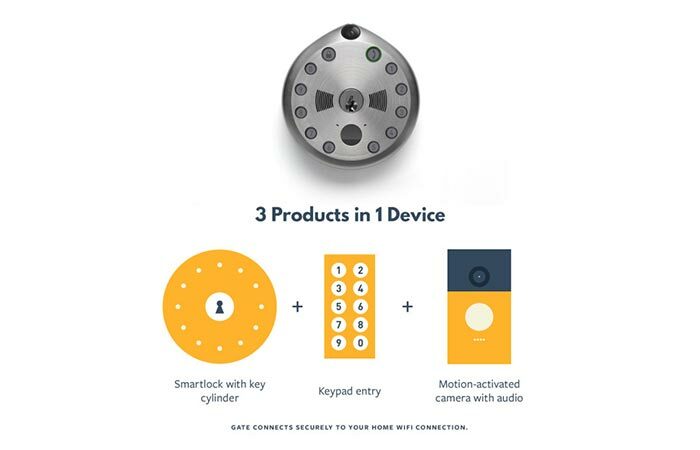 You can also remotely lock and unlock your door directly from your mobile, no matter where you are. Check out the video below. In addition to this, Gate also gives you the option to create unique access codes for yourself, friends and family members. Another interesting feature is the ‘Delivery Man Verification’ that allows you to see the photo and the name of the scheduled delivery man via Gate’s trusted partners. As soon as Gate detects motion, it streams it directly to your mobile phone. You can then converse with the person at the door, or simply unlock it. Gate also comes with LED lighting and gives you a mobile chime when friends use their access code. Besides that, it also still has the physical key cylinder so that you can simply unlock it with a key. Installation is also very easy; simply remove your standard deadbolt, and install Gate.